People invest in real estate for a number of reasons. Some buy to sell at a profit after adding value to the property, others buy as a future nest egg for family members, and then there are those people who invest to rent. If you are thinking about the latter, you may make yourself a tidy earning from becoming a landlord. However, there are some things you need to know before you take the plunge. 1. Do your research before buying property. Click here for some helpful advice on what you should look for when investing in rental real estate. You don’t want to end up with a potential money pit, and your tenants won’t appreciate living in a house with problems. 2. While many people intend to make money from renting out a property, you shouldn’t focus on this aspect. You are also providing a service by providing housing for people who possibly can’t afford to buy, and you are partly responsible for their welfare while they are living at your property. This includes keeping rent prices at a fair rate, maintaining the property to health and safety standards, and dealing with any maintenance problems that are part of the natural wear and tear of the property. 3. Work with a law firm when drawing up the lease. You need to protect your investment, so should you have a particularly bad tenant, there needs to be a clear stipulation in the contract as to your rights in the situation. 4. Select your tenants carefully. You should always take out background checks, acquire references, and with the tenant’s permission, request a credit check. You don’t need to do this yourself, as a property management firm can take on some of these responsibilities on your behalf. However, you should still have a say in who lives in the property you are renting. 5. You don’t need to be hands on with the house or the tenants if you hire a property management company to take on some of those responsibilities. While this is a good idea, you will have to pay them a fee which is usually around 10% of the rental fee. However, many landlords prefer to deal with the property themselves. 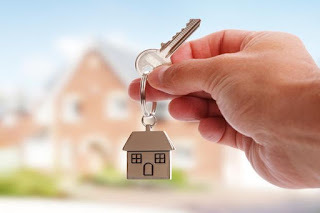 Considering you have invested a lot of money in buying the house, you may prefer to have direct contact with the tenants and inspect the house yourself on a regular basis, rather than leaving it in the hands of an agency. 6. It’s a good idea to join the local Landlords’ Association. Particularly if you are inexperienced in property matters, you can benefit from the experience of others. There is a small fee to pay each month, but you will receive invaluable advice on such things as legal matters and how to deal with problem tenants. 7. While your tenant will be responsible for contents insurance, you should still shop around for landlord building insurance, to cover your liability and protect your investment. We hope our advice helped. Continue to do your research and speak to the experts for further advice.